1 Bed, 2 Bath, Island View Villa. Biennial Floating Use, Even Years, Platinum Season. 1 bed, 2 bath Island View Unit. Even Years, Floating Use, Platinum Season. 2 Bed, 3 Bath, Ocean View, Biennial Even Year Use. If you are looking for the perfect vacation spot in Hawaii, then look no further, a timeshare resale at Marriott's Maui Ocean Club in Lahaina, Maui is the destination for you. Whether you want to spend time at your villa or go out and enjoy the exotic landscapes of beautiful Maui, you will be greeted with first class service and non-stop amenities. Marriott's Maui Ocean Club timeshare resales are available in one, two, and three bedroom villas that can accommodate up to 10 guests, and have one, two, or three baths as well. Some of the general room amenities include air conditioning, an alarm clock, a coffee maker and tea service, a crib, individual climate control, an iron and ironing board, down and feather pillows, a pull-out sofa bed, a roll-away bed, an in-room safe, and a washer and dryer. The bathroom amenities offered are a bathtub with spray jets, a hair dryer, and a separate tub and shower. Kitchens feature a conventional oven and stove top, dishwasher, microwave oven, pots, pans, serving dishes, refrigerator with an ice-maker, and silverware. Each room has a cable/satellite TV and cable channels. Business services in the villa include voicemail on your phone and high speed wireless internet access. Villas are highlighted by separate living and dining areas, a full kitchen, a lavish tub, and a private balcony or terrace, multiple televisions and a washer/dryer. The guest services that come when you buy a Marriott's Maui Ocean Club timeshare resale are: babysitting, a cash machine/ATM, the concierge desk, foreign exchange, a grocery shopping service, housekeeping service, on-site laundry, on-site coin operated laundry, newspapers in the lobby, a newspaper delivered directly to your room, safe deposit boxes, and valet dry-cleaning. Timeshare owner facilities you can enjoy are: a Bar-B-Q and/or picnic area, a beauty shop nearby, car rental services, a game room, vending machines, and video games. There is also a drugstore, a florist, and a gift shop and newsstand on site. For the active person and family there are many activities in the surrounding area for you to enjoy. You may want to start your day with a swim in the indoor/outdoor connecting pool and the outdoor children's pool. Additional activities nearby include a biking trail, bowling, hiking, horseback riding, jet-skiing, a jogging and fitness trail, miniature golf, mountain biking, a nature preserve trail, sailing, scuba diving, snorkeling, surfing, tennis, volleyball and the onsite MAZE with lots of activities for all ages. If you are an avid golfer, perhaps you would like to enjoy the Ka'anapli Golf Course for some relaxation. Not a golfer? Visit the Maui Ocean Club fitness center and when you finish you can go relax at the Hale Mana Wellness Center for facial treatments, fitness counseling, manicures, pedicures, massages, Paraffin hand treatments, steam room, waxing, and fitness classes. Maui Ocean Club's timeshares for sale are packed with on-site activities. Once you are out and about enjoying some of the many recreational activities your Marriott timeshare resale provides, you may build up a hunger and not be sure what flavor you are in the mood for. Some options for your dining delights include The Beachwalk Market and Pantry, a casual deli style restaurant which is open for breakfast and lunch; The Napili Tower Pool Bar, a casual deli style restaurant, which is open for lunch; The Pool Bar, a casual deli style restaurant, which is open for lunch and dinner; and Longboards Ka'anapali, a casual American restaurant which is open for dinner. 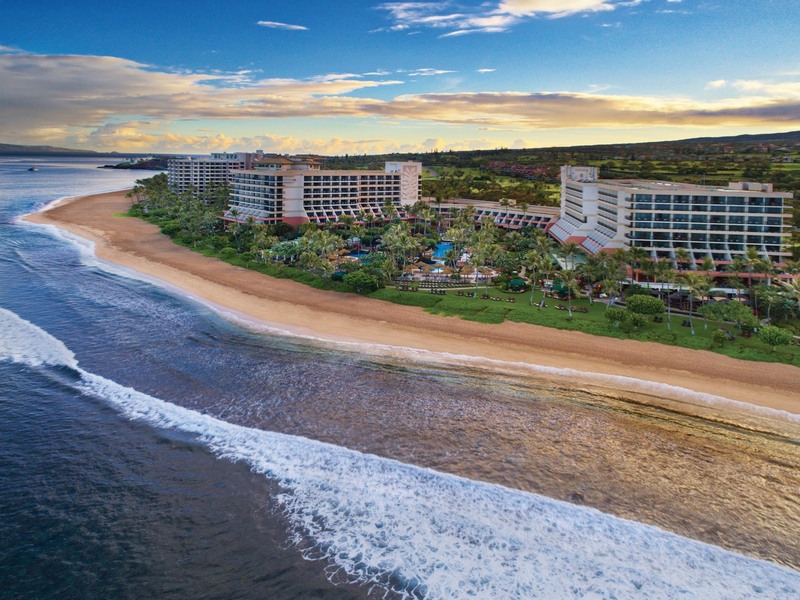 Whether you are looking to buy or sell a Marriott's Maui Ocean Club timeshare or fractional ownership, Premier Timeshare Resale's helpful, friendly, and professional realtors will help you every step of the way, and we never charge a fee upfront. Please contact us for any questions you may need answered about Marriott's Maui Ocean Club Timeshare Resales.